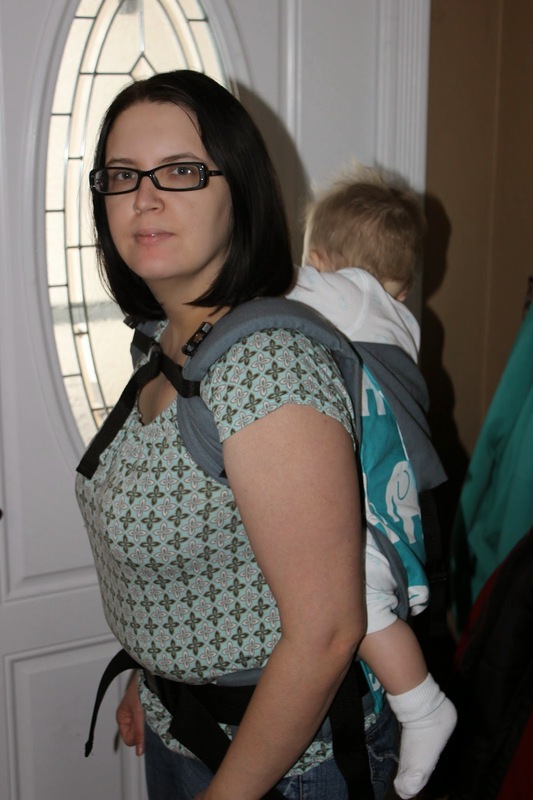 I love wearing the baby it makes like alot easier when I can have 2 hand to do my shopping or anything around the house. 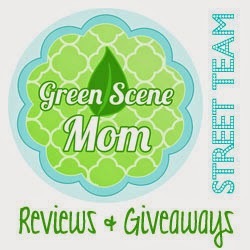 I was lucky to try out Action Baby Carrier's Toddler Carrier in Elle and it retails for $114.00. 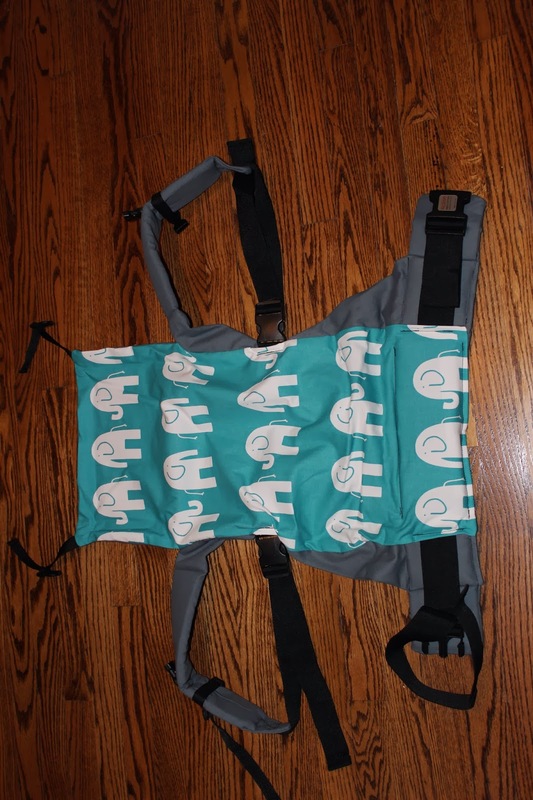 Elle is our toddler carrier in a gorgeous white and turquoise elephant print. 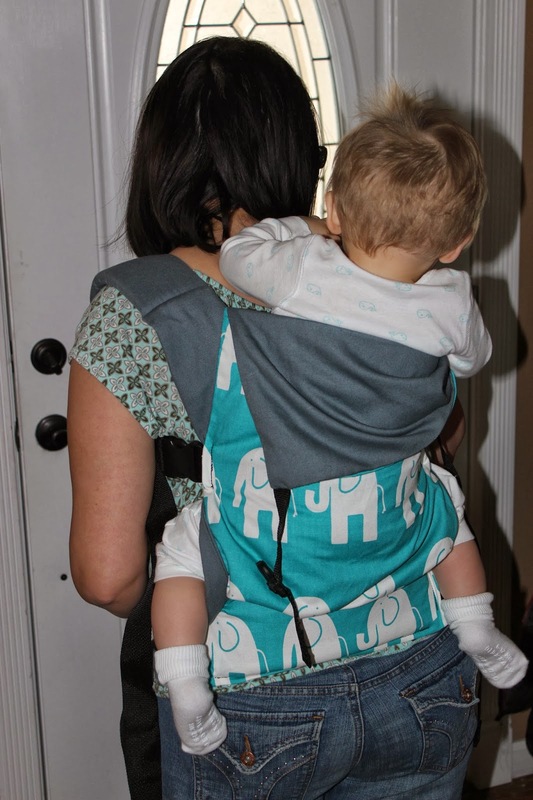 The toddler carrier is 3 inches taller in the body than our regular carrier, as well as offering a longer hood. The base of the “seat” is 19 inches across. 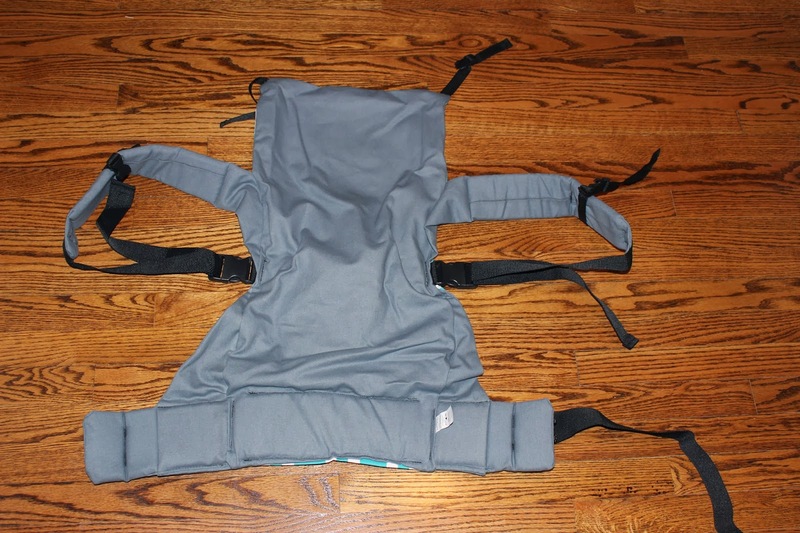 The webbing is the same as our standard carrier. This carrier is make for larger babies. My little guy is 18lbs and it is still a little big for his legs to be comfortable in. Their prints are super cute and these are made so nice. I like to wear the baby on my back while I am in the house and he loves to play and pull my hair. Here is how it looks on. He loves to play with the hood straps. This carrier is really comfy and i love the colors. 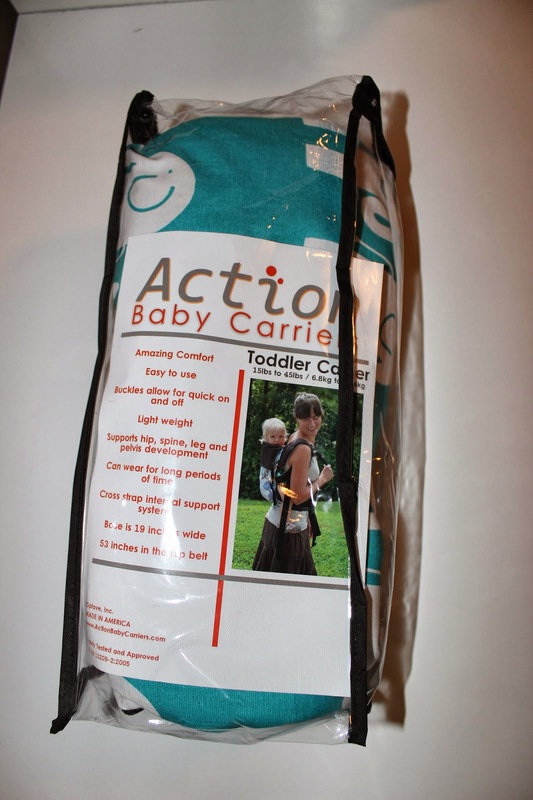 Action Baby is giving all of you a 10% code off or your regular price carrier! Use code ttgg6a7sabc1g this code expires 3/15/2014.